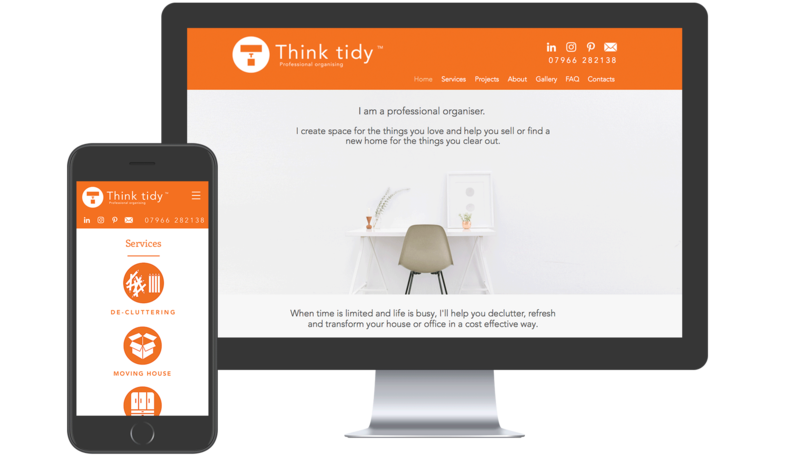 Think Tidy operates in London in the increasingly requested sector of professional organising and decluttering services. The brief for their online presence obviously reflected the idea of order and neatness offered by the business. 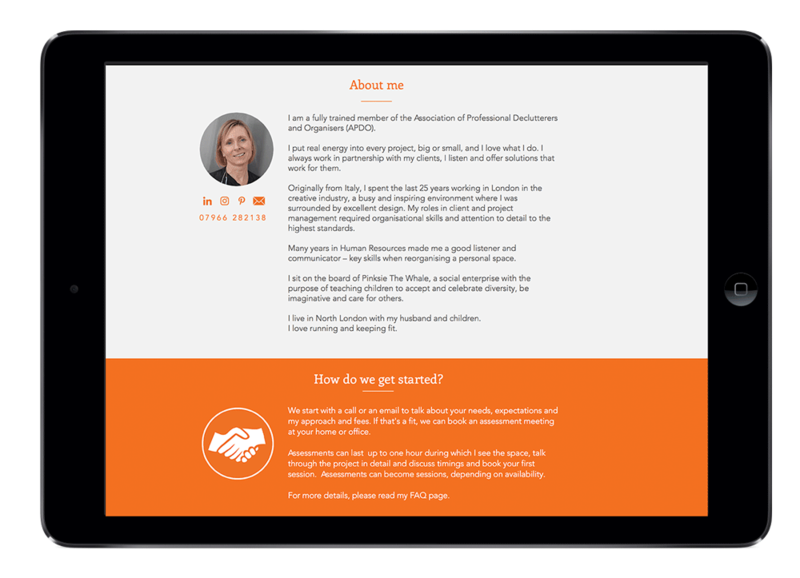 Interviewing the owner of the business, I realised that the job of a professional de-clutterer requires a clear and focused mind combined with a lot of physical strength, which I conveyed with the use of a vibrant orange as accent colour throughout the website. 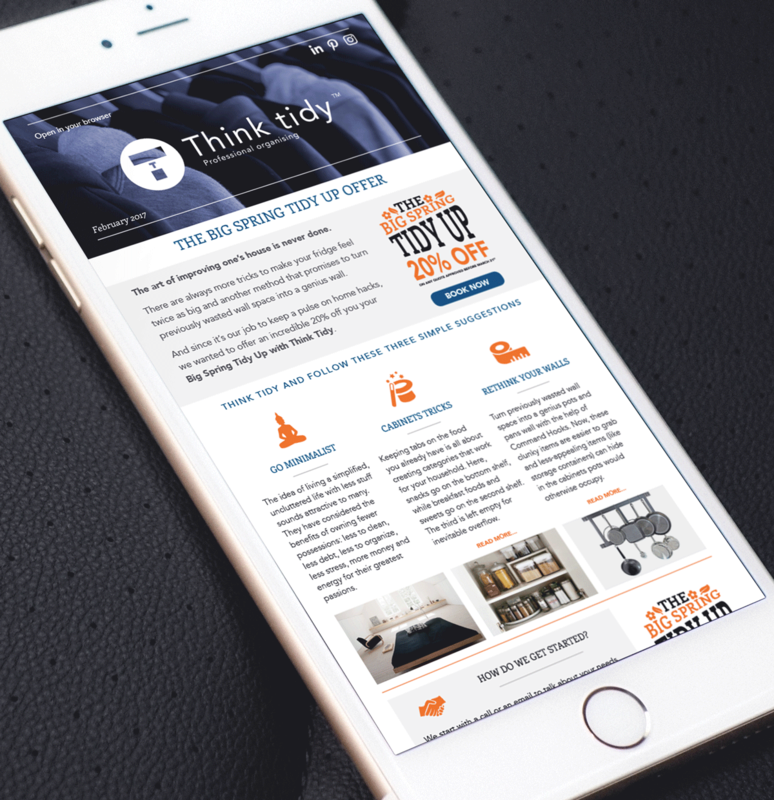 Besides a bespoke set of icons for each of the services offered by Think Tidy, I also designed the template for the monthly marketing newsletter.